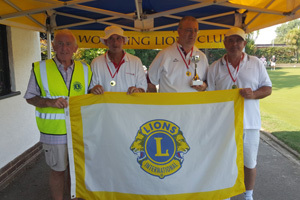 Welcome to Worthing Lions: Who are the Worthing Lions? Lions are men and women who have chosen to give up some of their spare time to help those less fortunate. We have no national, political or religious affiliations. Massive Firework Display, Huge Funfair, Commercial Market, Food Stalls, Charity Market, British and American Classic Car Shows, Bus Rally, Street Entertainment, etc etc. 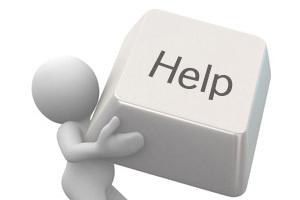 We are men and women who volunteer our time to try to make life better for others. We have no religious, political or social affiliation. The only qualifications for membership are a willingness to do whatever we can, and a desire to live up to the Lions motto "We Serve." We are just ordinary people trying to do amazing things in the Worthing area. 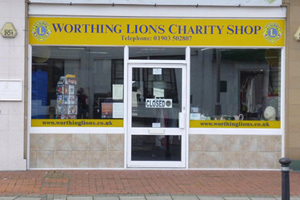 The Lions Shop at Goring, our major source of funding, is where 100% of the profits are used to support Worthing Lions Club’s charitable projects. About 90% of all funds raised by Worthing Lions is spent helping organisations, groups and individuals in and around Worthing. The remaining 10% goes to fund Lions' international projects including water wells and eye camps. The Worthing Lions Welfare Committee meets monthly to discuss and research the merits of applications to Worthing Lions Club for funding, and then bring their proposals to the business meeting for voting. The Committee, who have a wide cross section of experience and expertise from their working and private lives, so bringing a balanced view to the matters discussed.